Patent attorney and European Trade Mark and Design Attorney. He is a specialist in industrial property law, copyright and law on combating unfair competition. He graduated from the Faculty of Law and Administration at the University of Warsaw. He also finished postgraduate studies in Intellectual Property Law at the University of Warsaw. He has gathered professional expertise working in a renowned Warsaw-based law firm in the Department of Intellectual Property, also in the Patent Office, where he worked as a trademark examiner in the Department of Trademarks, followed by Nestlé Poland SA, where he was responsible for the protection of intellectual property rights of the Nestlé Group in the Central and Eastern Europe. 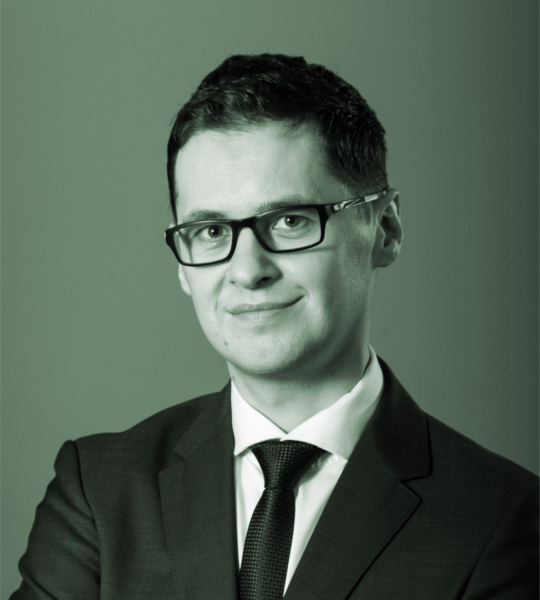 He is a member of the Polish Chamber of Patent Attorneys.